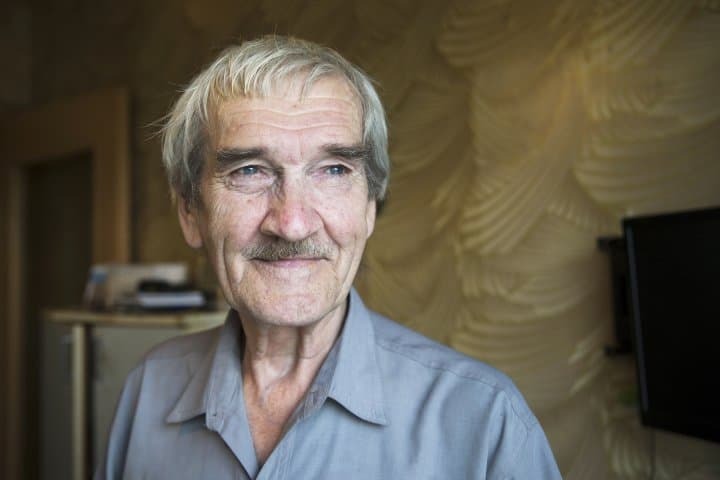 Stanislav Petrov, the former Soviet military officer credited with single handedly averting a possible nuclear disaster during the Cold War,?has died?age 77. Petrov was the commanding officer on duty at a nuclear early warning facility in the early hours of Sept. 26, 1983, when his computers falsely identified several U.S. missiles headed toward Moscow, the BBC reports. Having only 20 minutes to act, Petrov decided to regard the warnings as a false alarm. Instead of informing the military about an impending nuclear strike, he told his superiors about a system malfunction. “I had all the data [to suggest there was an ongoing missile attack]. If I had sent my report up the chain of command, nobody would have said a word against it,” Petrov?recalled?in a 2013 interview with the BBC’s Russian service. “The siren howled, but I just sat there for a few seconds, staring at the big, back-lit, red screen with the word ‘launch’ on it,” he said. An investigation would later discover that Soviet satellites had mistaken sunlight reflecting on clouds for intercontinental ballistic missile engines. Petrov died?on May 19?at his home in Moscow. News of his death?emerged?this month when Karl Schumacher, a German filmmaker who brought Petrov’s tale of nuclear near-miss to light, called to wish the retired officer a happy birthday. Schumacher was told by Petrov’s son, Dimitri, that he had died in May.